In 2016 the Amphibian Ark turned 10, and to celebrate, we produced a Ten-Year Review that highlights our accomplishments over the past decade. In March 2012, AArk produced a full-color, 44-page report «Amphibian Ark – Five years since the launch» highlighting our activities during our first five years. In November 2013 we produced a report which includes updates from each of the seed grant recipients on the progress of their projects. Low resolution (8.8 MB) and high resolution (33.5 MB) versions of the report are available. 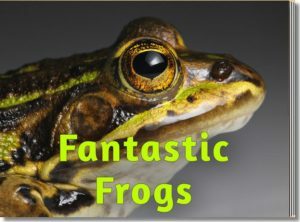 A range of documents and presentations relating to amphibian husbandry can be found on our Husbandry Documents web page. AArk Taxon Officers and others have held a number of national and regional meetings around the world to assist these regions to prioritize their local amphibian species for conservation planning programs. The resulting data resulting from these workshops is available on the Conservation Needs Assessment results page. Our Conservation Needs Assessment process is outlined in a pdf file which is also available in Spanish. A process for assessing and prioritizing species conservation needs: going beyond the Red List – this article describing the Conservation Needs Assessment was published in the journal Oryx in June 2018. Supplementary material is also available. See the Conservation Needs Assessment workshop page for more information about these workshops and the species evaluation process. The Unite for Literacy team works with its partners to develop a wide range of free, online children’s books, narrated in multiple languages, to celebrate language, culture and a love of reading. The first five books produced by the AArk team can be found on AArk’s “bookshelf” on the Unite for Literacy web site. 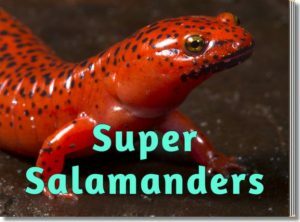 Amphibians as Pets – Considering an amphibian pet? Growing up with tadpoles in your backyard or classroom is a great way to learn about and appreciate the natural world. Some amphibians make excellent pets for enjoyment and education. However, keeping an amphibian (or any pet) in captivity is a real commitment to its well-being for the entirety of its possibly very long life. AArk position statement on US amphibian trade proposal Amphibian crisis poster – Large format (4.5 MB), small format (500 KB) A great-looking poster about the amphibian crisis, what’s being done, who’s helping, and AArk’s involvement. AArk frog mask – Cut out your very own AArk frog mask and wear it with pride to show you care about amphibians! Summary of the Amphibian Ark What is the AArk? Carrillo, L., Johnson, K. and Mendelson, J.R. III (2015). Principles of Program Development and Management for Amphibian Conservation Captive Breeding Programs. International Zoo News Vol. 62. No. 2 (2015), pp. 96-107. Johnson, K., Baker, A., Buley, K., Carrillo, L., Gibson, R., Gillespie, G., Lacy, R.C., and Zippel, K. (2018). A process for assessing and prioritizing species conservation needs: going beyond the Red List. Oryx. doi:10.1017/S0030605317001715. Supplementary material. Johnson, K., Zippel K, Gagliardo, R., and Townsend, E. (2012). 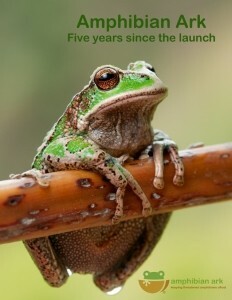 Amphibian Ark: Five Years Since the Launch. 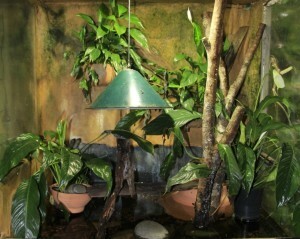 Amphibian Ark. Johnson, K. (2011). Amphibian Conservation Needs Assessment Workshop for the Caribbean Region. IRCF Reptiles & Amphibians 18(3):144-147. Johnson, K. (2011). An Update on Recent Amphibian Ark Activities. WAZA News 1/11:19-20. Pavajeau, L., Zippel, K.C., Gibson R. and Johnson, K. (2008). Amphibian Ark and the 2008 Year of the Frog Campaign. Int. Zoo Yb. (2008) 42: 24-29. Schad, K., ed. (2008). Amphibian Population Management Guidelines. Amphibian Ark Amphibian Population Management Workshop; 2007 December 10-11; San Diego, CA, USA. 31 p.
Zippel, K., Johnson, K., Gagliardo, R., Gibson, R., McFadden, M., Browne, R., Martinez, C. and Townsend, E. (2011). The Amphibian Ark: a global community for ex situ conservation of amphibians that cannot currently be safeguarded in situ. Herpetological Conservation and Biology 6(3):340–352. Zippel, K. (2010). Climate Change and Amphibians. Animal Keepers Forum. Zippel, K., R. Lacy, and O. Byers (eds.) 2006. CBSG/WAZA Amphibian Ex Situ Conservation Planning Workshop Final Report. IUCN/SSC Conservation Breeding Specialist Group, Apple Valley, MN, USA. 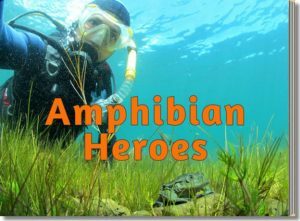 Amphibian Ambassadors 30% Less – No one wants 30 less of anything!